The device, called Amazon Scout, is the size of a small cooler. 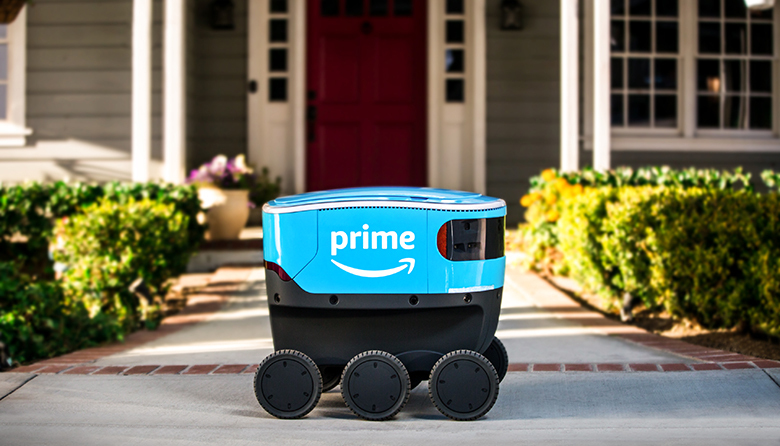 Amazon is launching a new fully-electric delivery system in Snohomish County. The system, called Amazon Scout, is “the size of a small cooler, and will roll along sidewalks at a walking pace,” the company wrote in a blog post. The robots will initially be accompanied by an Amazon employee. The Seattle company – the world’s largest online retailer – will use six Scout devices to deliver packages during daylight hours on weekdays. Customers order as they normally would. Scout is just the latest automation device launched by Amazon, which has been using robots in its fulfillment center warehouses across the country for years, prompting backlash from some workers and spurring attempts to unionize. Other retailers also have automation plans. Last year, both Target and Walmart revealed plans to use autonomous robots for inventory management and counting cash. A recent study by Research and Markets predicted the retail automation market would reach $19 billion by 2023.